A dog attack that killed a poodle and injured its 71-year-old owner has rallied a community on Auckland's North Shore. Susan Baker, 71, was walking to the dairy with a friend and their two dogs on January 27 when a lone, wandering dog attacked them on Bayview Rd, Bayview. 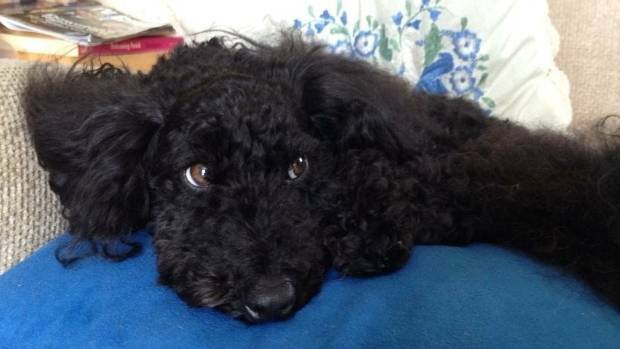 Baker's poodle Georgie was shaken "like a rag doll", when she got between her owner and the approaching dog. Baker tried to save her beloved pet of seven years, but it was too late. Georgie died in the car on the way to the vet. The Bayview community has organised a walk of solidarity, which will take place this Tuesday evening. Baker's daughter, Fran Hilditch, said there has by an outpouring of community support for her mother. "She [Baker] is a very, very strong woman, but she's really traumatised by the event." They were just walking along when they noticed a dark brown "STAFFY-LOOKING" dog coming up the road, Hilditch said. "The dog just put its head down and started coming towards them," Hilditch said. The dog had no collar and wasn't with an owner. "Georgie looked like she had been attacked by a dragon," Hilditch said. Baker was also injured in the attack and is recovering from surgery following the incident. Hilditch said she was reluctant to report the event because of the stereotypes around this kind of dog. "I just want to raise awareness about an incident that did happen," she said. Auckland Council's animal management team confirmed it was notified of a dog attack involving a brown PIT BULL TYPE DOG. "This is a traumatic incident for all involved. Our thoughts are with Ms Baker and we wish her a speedy recovery," manager Nikki Marchant-Ludlow said. "We are currently investigating and following up on possible leads. As yet, we have not located the dog." If anyone has information about this incident, contact 09 301 0101 as soon as possible. A Give-a-little page was set up by Baker's daughters. The walk begins 7.30pm at Lynn Rd Park, Bayview. Peaceful people trying to live their lives end up with traumatic experiences thanks to this worthless dog breed. Pit bulls love to kill, it's what they do. Who needs a dog breed like that? I certainly don't!